Who is Newcastle target Miguel Almiron? "He's an atypical No 10. Because he gives you everything that a No 10 gives you and he probably dispossesses players like a defensive midfielder." According to Sky sources, Newcastle have agreed terms with MLS side Atlanta United for Almiron. It is understood the midfielder is travelling to the UK on Tuesday night for a medical ahead of completing what is likely to be a club-record transfer. Born in Asuncion in Paraguay, Almiron began his career with Cerro Porteno in 2008. Five years later he made his senior debut at the club, scoring his goal during a match against Club Rubio Nu in the Paraguayan Primera Division. Cerro Porteno went on to win the Torneo Clausura in 2013 but Almiron made just six appearances as the club went unbeaten through the season. He made more of an impact as Cerro Porteno won the Torneo Apertura in 2015, playing 19 times and scoring five goals. His performances in his homeland attracted the interest of Argentinean club Lanus, who he helped win the Primera Division in 2016. Playing in an advanced central midfield position, Almiron scored crucial goals against Lanus' local rivals Banfield and he also found the net in his side's 4-0 win against San Lorenzo in the final. 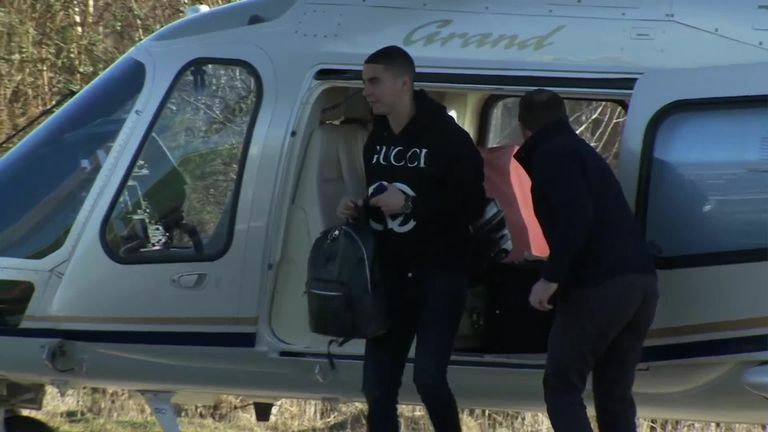 Atlanta United's Miguel Almiron has arrived on Tyneside to complete his transfer to Newcastle United. In December, 2016 Almiron agreed to join Atlanta United for their first season in the MLS in an $8m (£6.1m) deal. He became a crucial player for the franchise, scoring nine goals in his first season in America. He continued that form last season by scoring 13 goals and setting up 11 more, helping Atlanta United to their first MLS Cup. Almiron made his debut for Paraguay in September, 2015. He has 12 international caps to his name, featuring for Paraguay in both the Copa America Centenario and 2018 World Cup qualifying. My objective has always been to go to Europe. I don't have a specific place in mind. I like the Premier League and I think they play a beautiful and competitive style of soccer. Miguel is a versatile player, who can play on either wing or behind a lone striker as a No 10. His stats so far this season point to a creative player who also has an eye for goal, but there is more than just goals and assists to his game, according to former Atlanta United head coach Gerardo Martinez. "Miguel has a commitment to the team, I'm talking about his commitment to winning the ball back, pressing, he's a player that's always working," he said. When you play with Miguel a lot of time you get to see the real Miguel, which is, he runs here, there, and everywhere. He chases back after every single ball, he fights for every single ball. "He's an atypical No 10. Because he gives you everything that a No 10 gives you and he probably dispossesses players like a defensive midfielder. "So as a player who always works hard, he's never absent in a game, even a game where your team isn't dominating the offensive facet of the game. It's very rare to find a game where he's not." 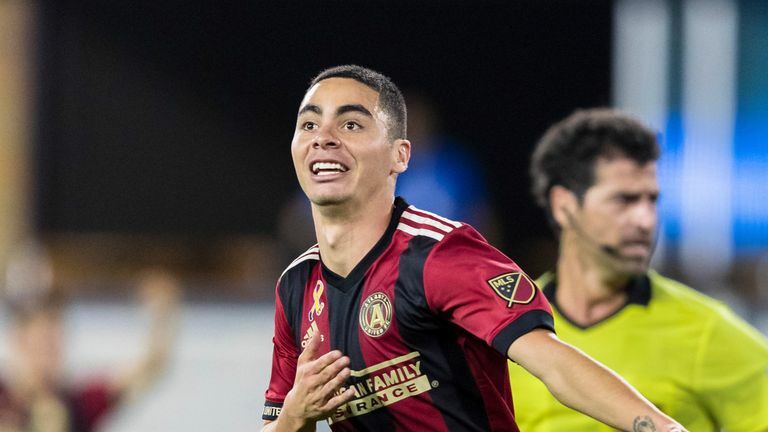 South American football expert Tim Vickery believes Almiron has plenty of qualities that will causes many a Premier League defence problems. 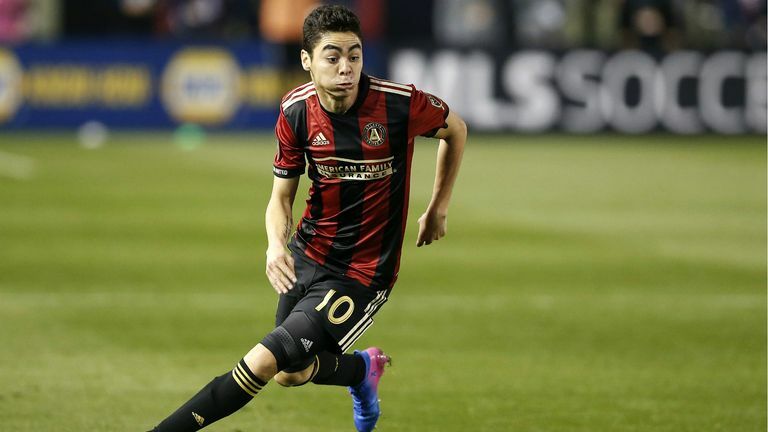 South American football expert Tim Vickery believes Miguel Almiron would be the perfect player to fit into Newcastle's counter-attacking style of play. "I think he's got a lot to bring to the Premier League, he is going to have to sharpen up his decision making in the final third, especially as he's moving to a football which is much more intense than in the MLS and in South America."